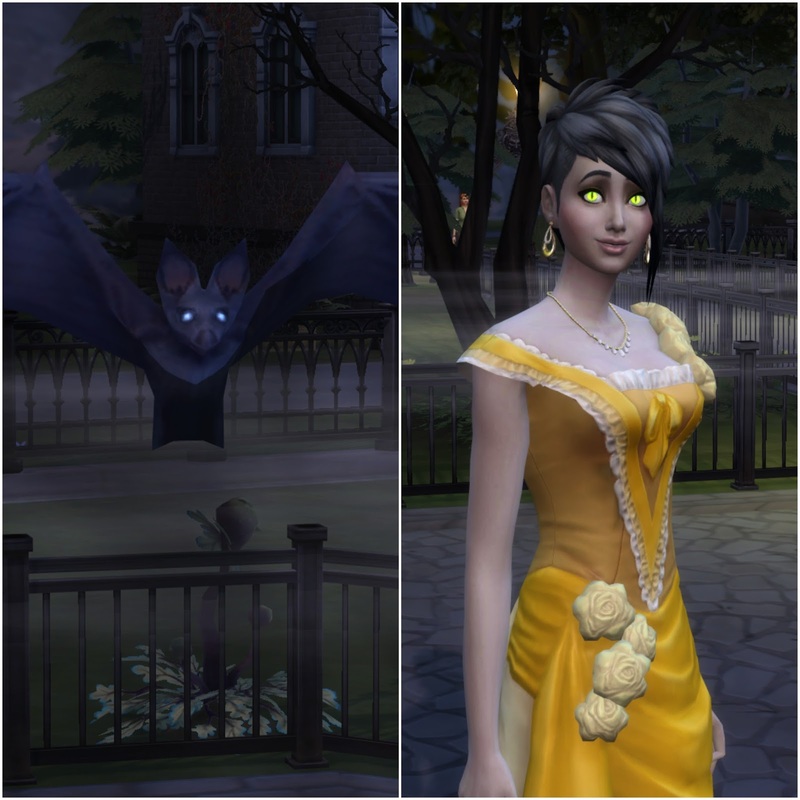 Vampires: Vampires are now a playable lifestate in the sims 4, so to celebrate, use this thread to show off your favourite vampire sim! Submissions from any game (2/3/4) are welcome. Hi! 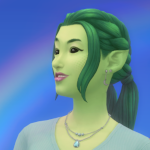 I'm Sunny, the owner and proprieter of Sunny-time Farms! 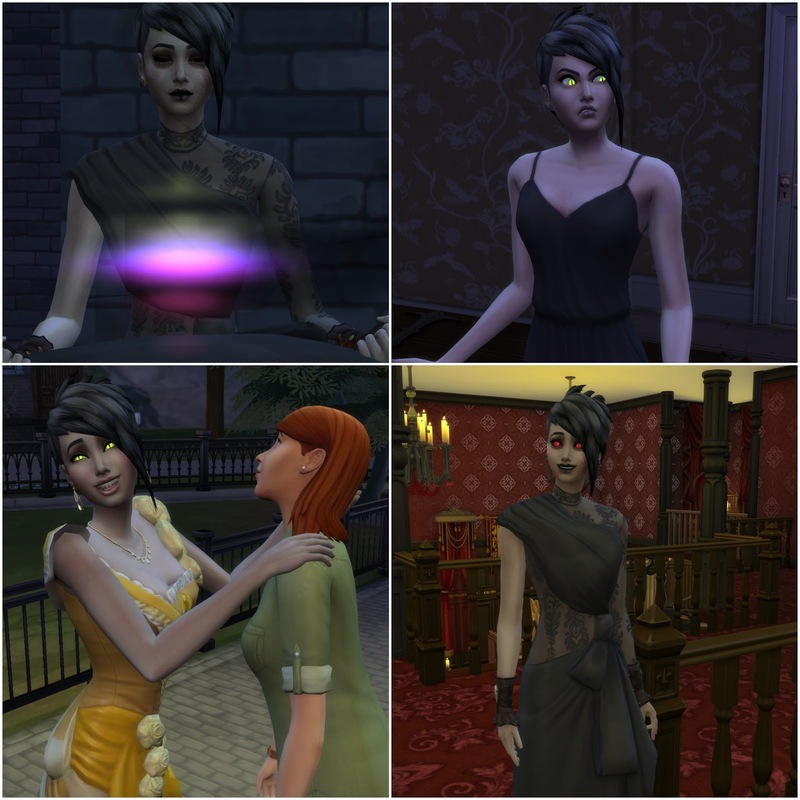 One thing you may not know about me is that I'm the sole vampire resident of our beloved Isla Paradiso. I can often be seen blurring our beautiful scenery on my errands about town. But please don't feel shy about approaching me! I'm completely vegan! My fangs are mostly for show! Thanks to the joint effort of the local witch coven and the mermaid guild, I can farm during peak sunlight in order to bring you the freshest product! But even if the sun won't hurt me, it doesn't mean I don't love a break from time to time!